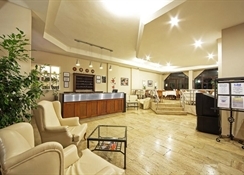 The charming Irmak Hotel is a 3 star residence offering guests an All Inclusive concept. 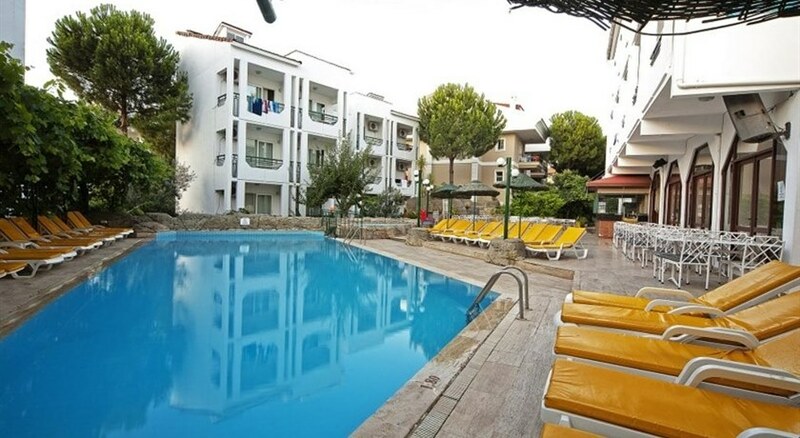 Just 200 metres from the beach and 1km from the centre of Marmaris with its vibrant bars and cafes, and great shopping too, this is a good location for easy access to the beach and to local facilities and entertainment. This value for money hotel assures guests of a traditional beach holiday in the sun with great Turkish hospitality, comfortable accommodation and affordable extra's such as local water sports and nightlife. Book the Irmak Hotel and be kind to your budget and your well being. Getting to the hotel: The hotel is 90km from Dalaman Airport. Local Tips: This is a very popular resort with tourists from all walks of life so, all ages and interests are catered for. 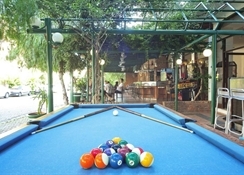 Food, drink and entertainment: A la carte restaurant, outdoor restaurant, Snack Bar, Lobby Bar and Pool Bar. 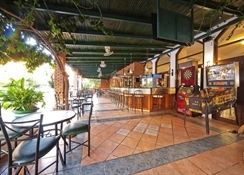 The staff are friendly and pop music is played around the pool by day, and sometimes evening entertainment, such as Turkish night, can be arranged. Sport, games and activities: Swimming pool with large waterslide (working certain hours), sun terrace, garden, billiards and darts. For the kids: Small kids splash pool. 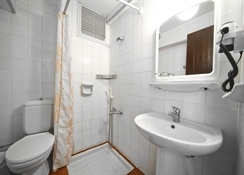 Additional: Reception service, house-keeping, car rental, internet access and doctor on call. The spacious guest rooms are air-conditioned and have a lovely balcony for some outdoor living. You can choose from a Standard Room or a Family Room, both have a land view, which can take 4 adults or, 3 adults and 2 children. Features include a direct dial telephone, a mini fridge, a safe box (extra charge), satellite TV, a hair dryer and a bathroom with a shower.